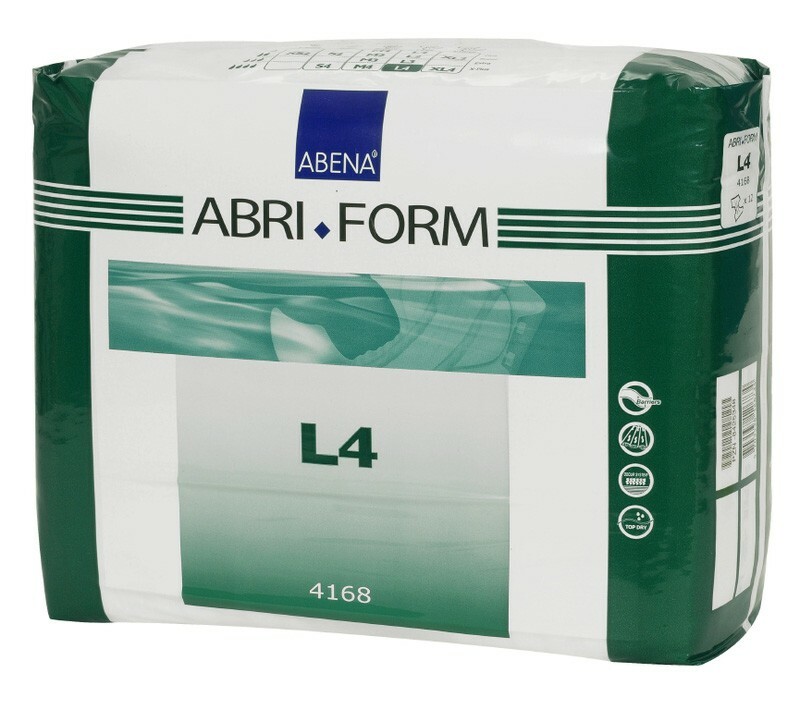 Abena Abri-Form is a full range of all in one briefs for all degrees of incontinence. The products are available in various sizes and absorbency levels to meet the requirements of individual needs. Abri-Form briefs are provided with re-fastenable tapes and are particularly suitable for highly demanding situations. Security, freedom and comfort have been the key aims in developing this range to help deliver Abena`s overall objective of improving the quality of life. The anatomical shape as well as the waist elastic and soft elastic border ensures a high degree of comfort and security. The use of long super absorbent cellulose fibres, a unique fibre separation technique, and an additional core in the centre provides for a maximum absorption, strength and dispersion of the absorbed liquid. 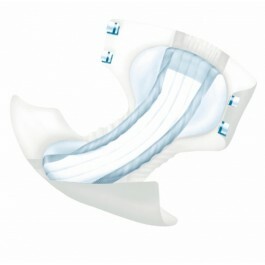 A Top-Dry acquisition layer and embossed channels assist this process, whilst increasing dryness and user comfort. The new flexible backing provides excellent comfort and a body-close fit. The backing moves with the body and helps the user to enjoy the freedom of a social life. Soft highly repellent and reliable leakage barriers extending right to the edge and a built in cross barrier at the rear provides unrivalled leakage protection in all situations. An external wetness indicator also facilitates the work of care staff. Abri-Form products now also carry the Nordic Eco-Label. The Nordic governments want to be leaders in protecting our environment. Nordic Eco-label products are among the most eco-friendly available today: the benchmark levels for the requirments are constantly increasing, and the Abena Group are at the cutting edge of market developments. The welfare of the environment and even more superior product quality are core objectives in all Abena products. 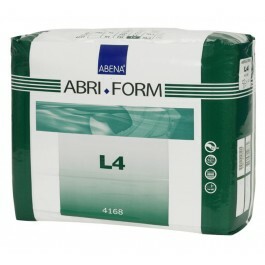 The Abri-Form range is available in 5 sizes and 4 different absorbency levels. Superior comfort and healthier skin with super soft, noiseless and breathable textile-like exterior. Easy product identification for carers through a logical and easy to read colour coded system printed on the product.